A clean home is a happy home, and nothing cleans better than a good pressure wash. Growth on your home, business or deck, when left overtime, can damage/stain the surface underneath. We never use any harsh chemicals that could cause damage. Pressure washing will remove mildew, mold, dirt, webs, nests and scum, bringing out the original finish of your property for years. Clearly, pressure washing is a cheaper alternative to repainting the surface if any growth has not done too much damage. We can pressure wash pretty much anything! At Gancarz Painting we can get the tough, high and unreachable areas along with those tedious posts. 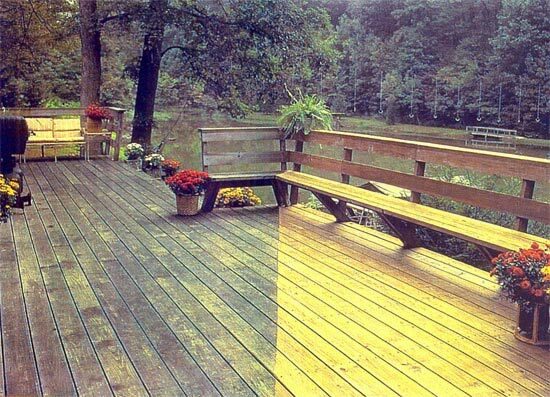 An untrained pressure wash can easily leave a botchy, damaged mess. A pressure wash by a professional will provide an even end result without damaging the stucco, siding, wood or finish.